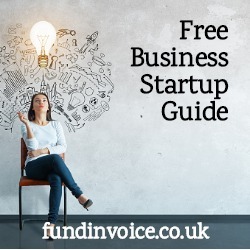 This is a free business startup guide that gives general advice about starting your own business. It's not comprehensive, and professional advice should always be sought from an accountant and/or solicitor. This guide takes you through a number of areas that you need to think about if you are starting your own business. It is based on our own experience of launching our own venture. You have to have a great business idea. Lots of sites will give you advice about solving problems and this is always a good place to start. You have to have an idea that you really think is going to allow you to stand out from your competitors, otherwise why won't customers just buy from them. A unique idea or solution to a problem. A unique application of an existing idea or technology to a new situation or problem. A unique delivery mechanism e.g. you may have a pre-existing network of potential customer introducers, or you may be the only cafe based in a certain area. A unique operational strength e.g. existing surplus capacity in a factory. If you launch a "me too" business, for instance another recruitment agency operating in the same arena as everyone else, you may do OK, you may make a living, or you may find that your existing established competitors ultimately retain control of the market and you go out of business. Good advice is to have something unique about your business - this should be an acid test of any idea that you come up with. Ask yourself, what's different about it? Using FundInvoice as an example, in our case, we are invoice finance brokers and there are plenty of others operating within the same niche. Our uniqueness comes from having a research function to constantly check prices, service quality ratings and other market information. Many of our competitors (not just brokers but other advisers e.g. accountants) don't operate in such an objective way, hence customers can see the benefits of using our independent service. Our second strength is that we are pretty good at marketing. One of our partners has a background in financial services marketing so that gives us an edge in getting our service in front of prospective customers. There is a lot more advice about how entrepreneurs come up with great business ideas in my recent presentation to a group of local students.